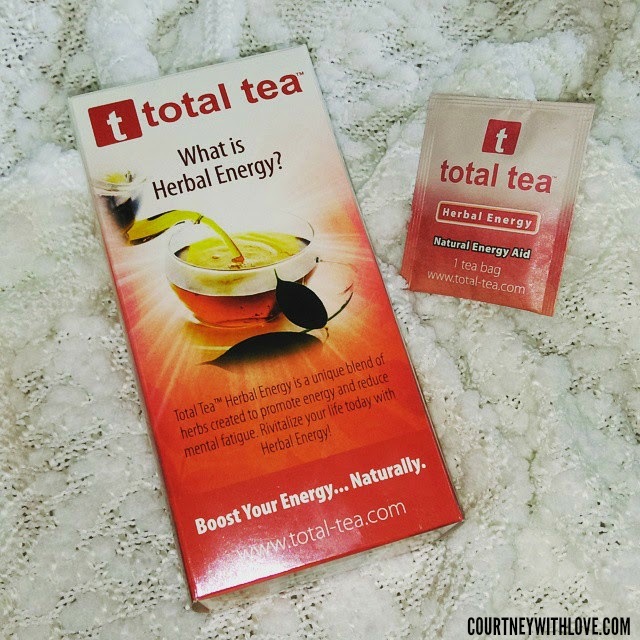 Total Tea Herbal Energy is a unique blend of herbs created to promote energy and reduce mental fatigue. Plus it's all-natural and packed with antioxidants! Revitalize your life today with Herbal Energy. Total Tea Herbal Energy herbs are known to help with symptoms related to the following conditions: Cholesterol Levels, Low Density Lipoproteins, Anti-Oxidant Capacity, Obesity, Type 2 Diabetes, headaches, Insomnia, Infection, Angina, Hyperlipidemia, Mental Fatigue, Physical Fatigue, Weight Control, Weight Management. Guayusa - Contains L-theanine, a glutamic acid analog found in green tea that has been shown to reduce physical and mental stress. Contains all of the essential amino acids for humans. Has a "high antioxidant activity" with ORAC antioxidant values of 58uM per gram, compared to 28-29uM per gram for commercial green teas. Green Tea - Increases metabolism. Polyphenol found in green tea works to intensify levels of fat oxidation. Helps regulate glucose levels slowing the rise of blood sugar after eating. Cinnamon Bark - Contains antibacterial, antiseptic, antiviral, antispasmodic, and anti-fungal properties. Eleuthero Root - A strong antioxidant. Referred to as adaptogen - and immune system, memory energy stimulant. Ginseng Root - Soothes the nervous system. Decreases blood sugar. Stimulates the endocrine system. I'm not the type of person who drinks coffee in the morning, simply becuase I am not a fan of all the flavorings and things I have to add to coffee to make it taste good. So I have skipped it, and just woken up drowsy, and managed through. I recently tried out this tea because I am currently on a weight loss journey, and trying to find alternatives to drink that won't pile on the extra calories. Plus this one is suppose to help boost your energy, so I thought it would be the perfect time to try it out in the morning. After I wake up, I will heat up some water, and make a cup of tea. Within a half hour, I feel like I am ready to go. Some beverages in the morning will make me feel weighed down and sluggish, but this doesn't effect me like that at all. Very light, pretty much just like drinking water, only it has some extra antioxidants and goodness! It gives me a nice little pick me up, nothing to where I am jittery and such, but just a little extra mojo. The flavor of teas to me are aquired, as I am someone who never really drank teas until recently, it has taken me a bit to get used to the herbal flavor. While they may not be my favorite, the benefits of tea are well worth it, and I am slowly becoming accustom to the flavor. I think the lack of sweetness is what is different to me. I used to drink water, or sweetened beverages. But now that I cut out the sweetened drinks, everyday I am getting more used to the taste of regular drinks, such as tea, that don't have or need sweetness. I suppose you could add sugar or sweetener to this, however I think that would defeat the purpose! Valid only in the USA. Ends June 1, 2015. My favorite morning beverage is strong black coffee.